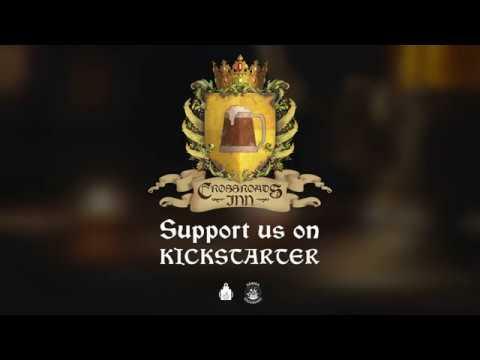 In Crossroads Inn, you play as an owner of a tavern located in the heart of a fantasy land of Delcrys. Your tavern is situated directly next to borders of three powerful kingdoms, on the crossroads of the biggest trade routes. You face quite a challenge - how to survive in these difficult economic conditions and transform this run-down dive into a prosperous business? How to make your tavern become the topic of conversation not only for juicers and drunkards, but also rich men and nobility? The Kickstarter campaign ended in March, with over $38K raised. In the FAQ, they actually noted that Linux is a planned release platform. It has a Steam store page up too, which also has SteamOS + Linux system requirements ready. They're planning to have multiple game modes including a story-based campaign, a sandbox mode for those who just want to manage and develop their own tavern over time and various scenarios. It does look very intriguing, like a mix between a building management sim and The Sims with various character interactions and the ability to freely build and expand. The actual release is sometime this year, no exact date is being given just yet. Follow it and wishlist on Steam if it seems like your thing. It's also going to be on the Humble Store and they said they're going to see if GOG will accept them too. my hotel is clean as an elven arse. Ugh... The gameplay looks nice, but the way the blending of wall-visibility is handled makes me dizzy. That seems awkwardly distracting. It is one of those small details, that can ruin a game for people susceptible to motion sickness, regardless of how good it is otherwise. Just like that recent trend of animating website content when it comes into the field of view... (Often intentionally, sometimes as a side-effect of loading images only once their area is visible, instead of beforehand). It really doesn't! Which is a good thing. I prefer fresh ideas over the same old boring "mouse hover target reticle over enemy's head and click to shoot them in the head!" shooter stuff. I will probably get this game when it's out! Oh well,I can't help it...whislisted.